Home Remedies Training Center of Arogya Foundation, Coimbatore has received the Affiliation from GUJARAT AYURVEDA University, JamNagar. Hereafter the workers undergoing training for seven days in this center will receive the Certificate directly from the University. ARF name will also be in the certificate and one signatory will sign on behalf of ARF. The name of Arogya Foundation is already included in the list of affiliated institutions of the University after the formal approval by the Senate of the University. Now we can conduct any number of courses in any language with the approved syllabus. 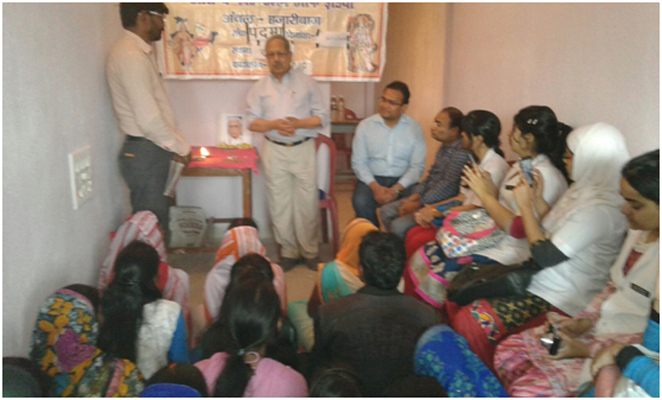 Ekal Abhiyan’s Ambikapur bhag organized SAMRASTA KARYAKRAM (HARMONY PROGRAM). 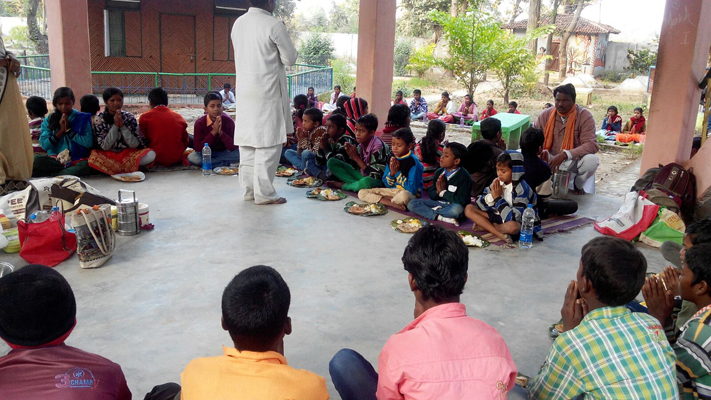 The main purpose was to share brotherhood, love and affinity between tribal and rural children of Ekal. 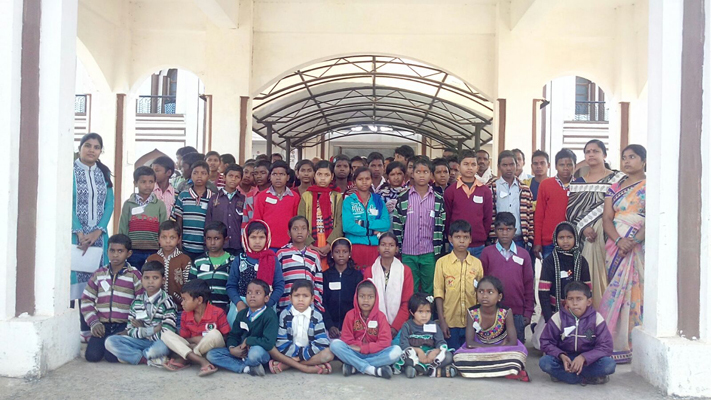 48 children from 24 Ekal Vidyalaya of Lunda sanch along with their gram samithi pramukh participated in the program. 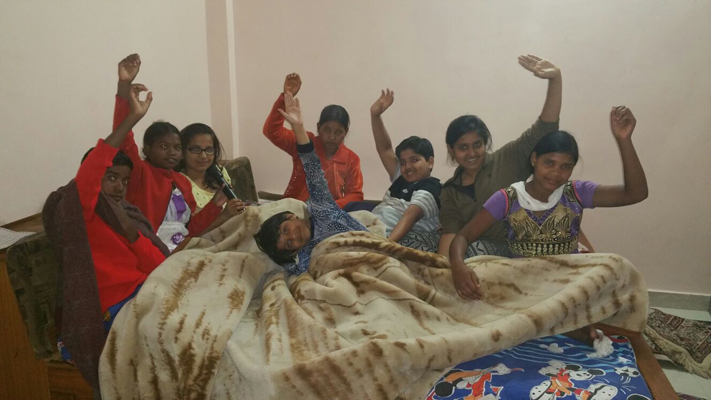 21 Ekal urban families took minimum 2 children to their houses to stay with them for 2 days. 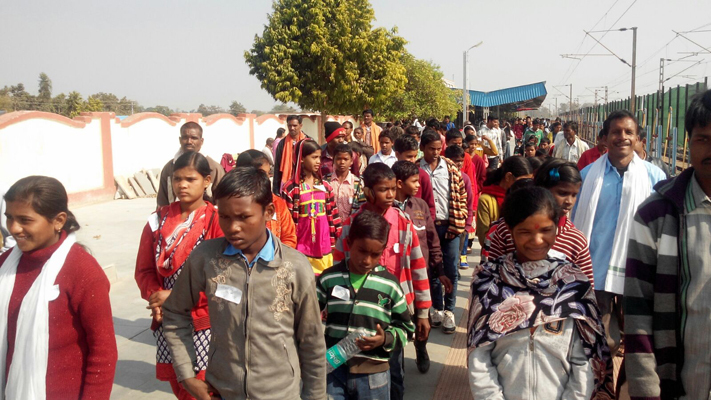 These Ekal children along with the host families went for an excursion, visiting Shyam temple, Railway station, Circus and sanjay park. 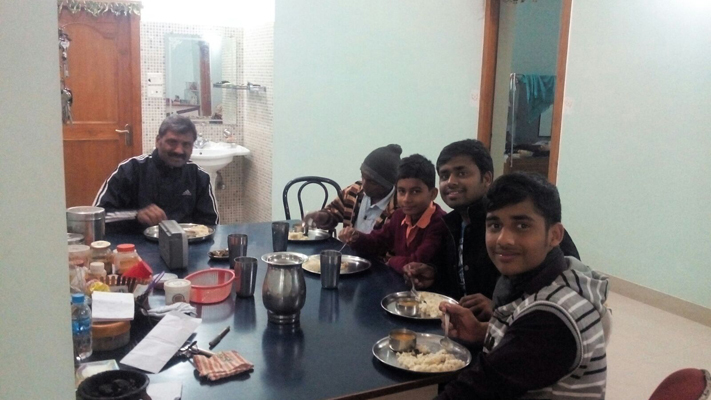 During the stay the Ekal children enjoyed all the facility which the host children were having.They were taught the importance of cleanliness and hygiene and in return they taught urban children bhajans, prayers, patriotic songs and bhojan mantra. 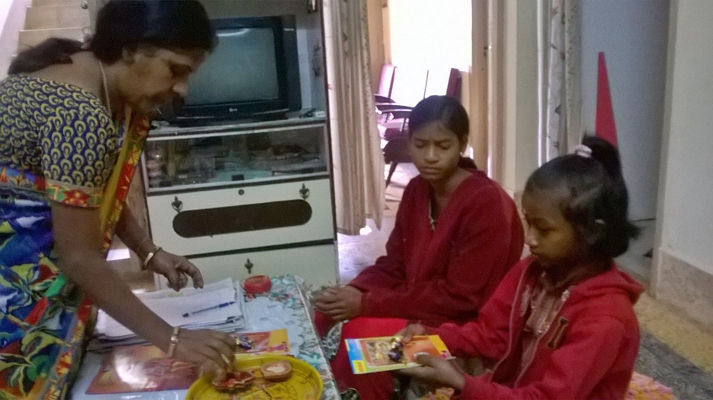 Mahila Samithi of Ambikapur Bhag played a major part in making this program a success. 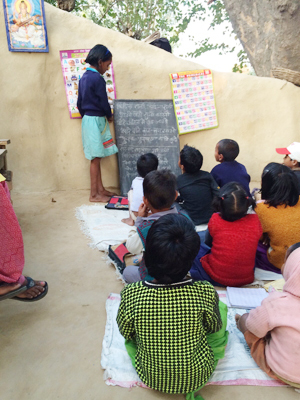 35 year old Jitendra Verma, a resident of village Maniadih of district Giridih of Jharkhand, became full time worker of Ekal Vidyalaya in 2002. Later on he got training on organic compost & farming. 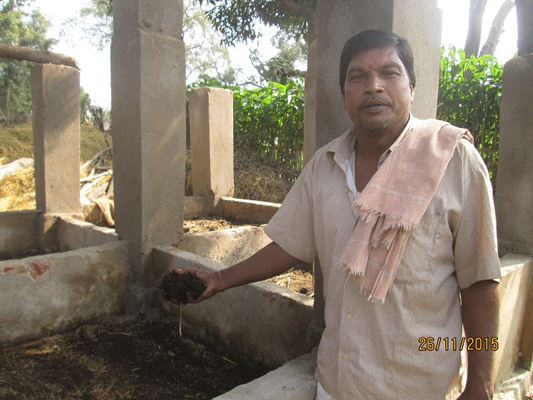 This encouraged him to make pits for organic compost. Besides, he developed a small nutritional garden in his house. Encouraged by the remarkable output from this, he ventured to undertake horticulture (esp. 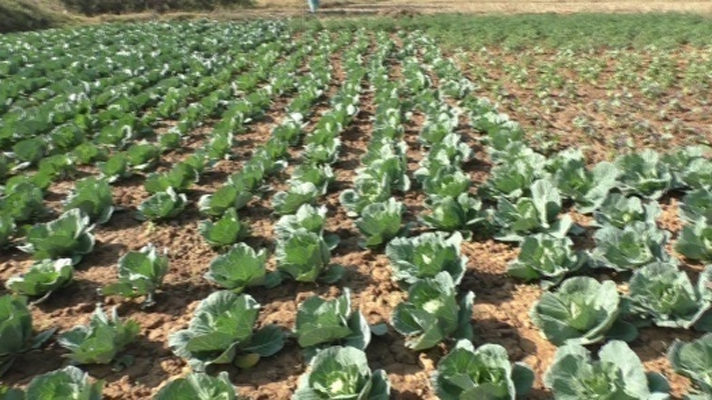 vegetables) on a large scale in his fields which were mostly rocky, arid and non-fertile, but with the use of the cow dung manure, the same soil turned soft and fertile, retaining moisture for longer time and yielding large quantity of vegetables of different variety which were tastier as well as more lasting. 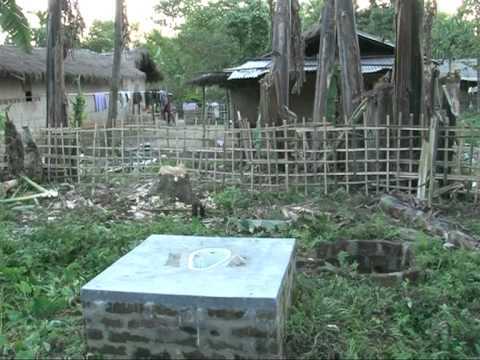 He managed scarcity of water by pumping water from the lower well to the higher well and then to the fields. 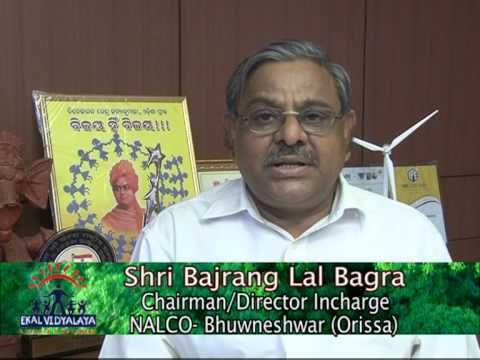 Now he is a champion of organic farming in the area earning around 5-7 lakhs per annum. 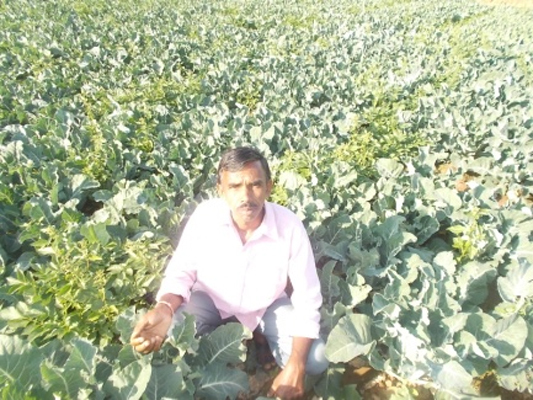 He has inspired another 30 families in his village to get into Organic farming, each earning about 2 lakhs per annum. Now no land in the village is barren. 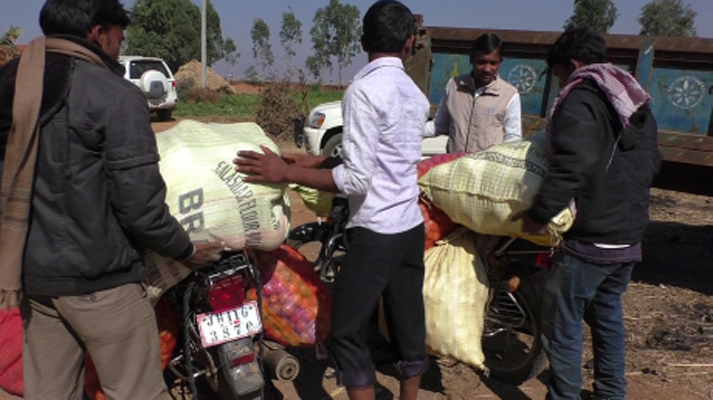 The vegetable vendors of the city come to the village themselves and take away the products, thereby solving the marketing problem. Besides farming, Jitendra is skilled in tailoring also and he has started a tailoring training centre by the help of GRC Khandoli. 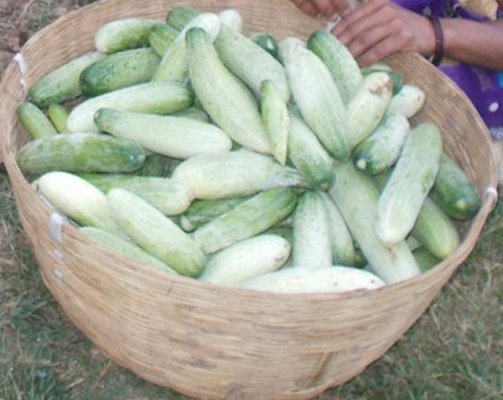 The story of Jitendra endorses the fact that with organic farming and other gramothan activities, the rural youths can produce and earn enough locally to stay healthy and happy in the village itself and need not migrate to cities for their survival. Sri Khapu Kanu, a Nutritional Garden Farmer of GRC Jarangloi is awarded with Rs. 1 lakh scheme of Vermi Compost Production bed. One shed of 30’X10’ size with 8 beds of Vermi Compost have been installed with the help of NHM (National Horticulture Mission). 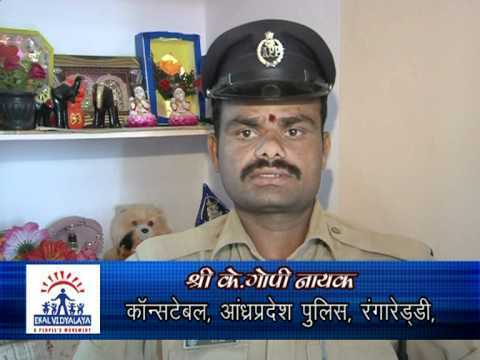 Sri Khapu was a proud trainee of GRC Jarangloi. 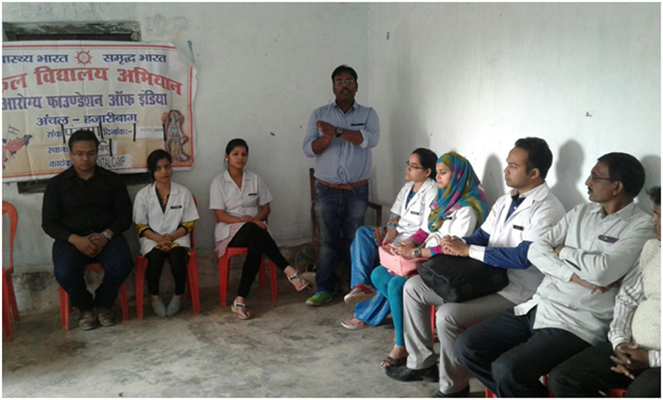 Dental camps were organized in Champadih and Saraiya Chatti villages in Padama Sanch of Hazaribagh District of Jharkhand on 21st November with the association of Hazaribagh Dental College, Demotand. 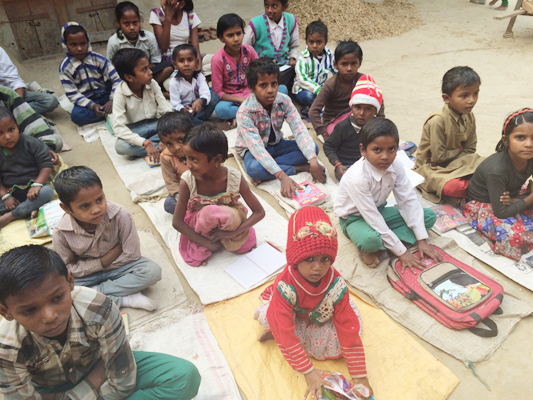 The Camps were inaugurated by Dr.Bhaskar Gupta and Sri Basant Narayan Mehta. 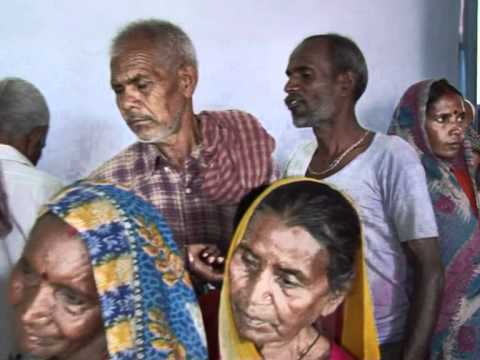 57 and 156 patients were treated in both the villages for tooth clean and tooth break. Doctors in USA of Indian origin have planned to provide services in Indian villages through Ekal Abhiyan. 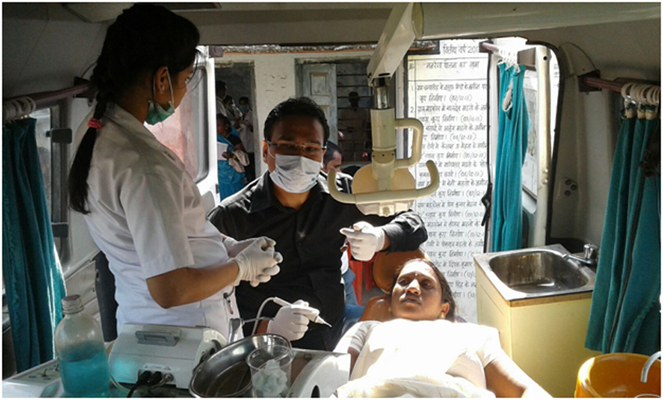 In this initiative Dr. Satish Mallik who was HOD, Prosthodontics, Govt. 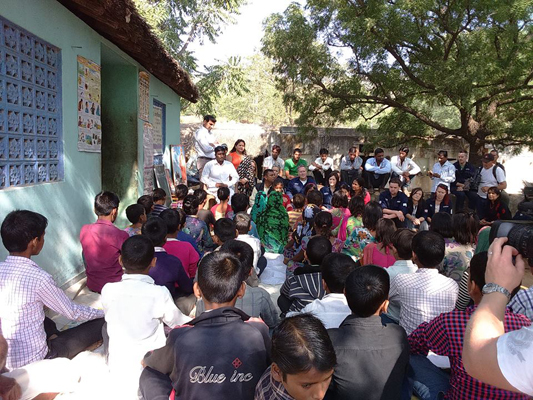 Dental Institute, New Jersy, USA came to Ranchi in November 2015 for 5 days from 22nd Nov to 26th Nov.
During the time he interacted with the students of CME at Hazaribagh Dental College and participated in 2 dental camps at Hazaribhagh, he interacted with Arogya Sevikas and other Ekal workers at Bhandra where Swachhata Abhiyan and Anaemia Control Program were being implemented, he addressed a gathering of dental doctors at Ranchi at hotel city palace organized by Dental Association of Jharkhand. His visits were planned and executed by Dr. Om Prakash, HOD Maxillofacial Surgery, Hazaribagh Dental College, President-Dental Association of Jharkhand and National Secretary-NMO, supported by Dr. M.S.Bhatt. 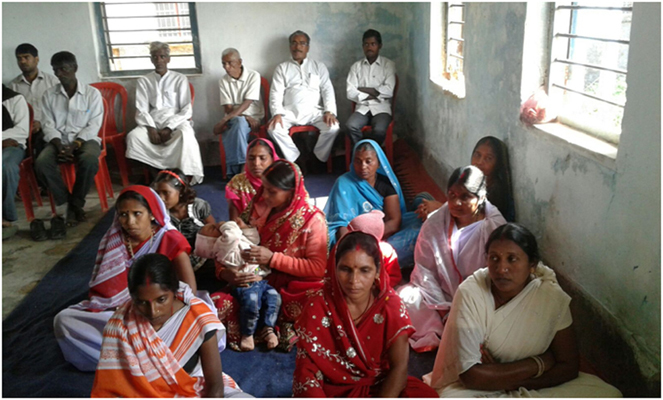 In a joint venture with OCL, organic farming training programme was conducted in the surrounding villages of OCL. 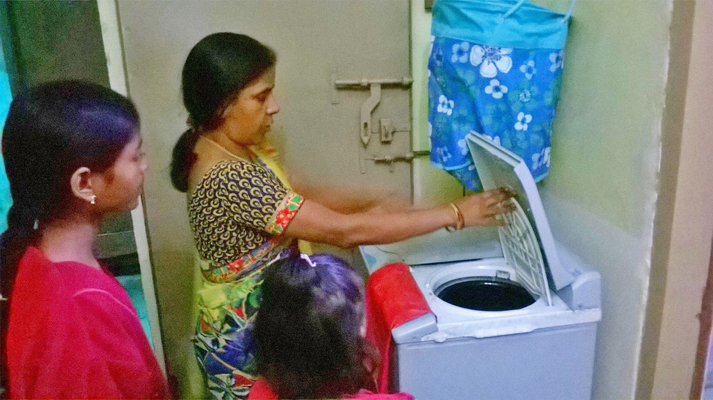 So far, three hundred families have been covered. 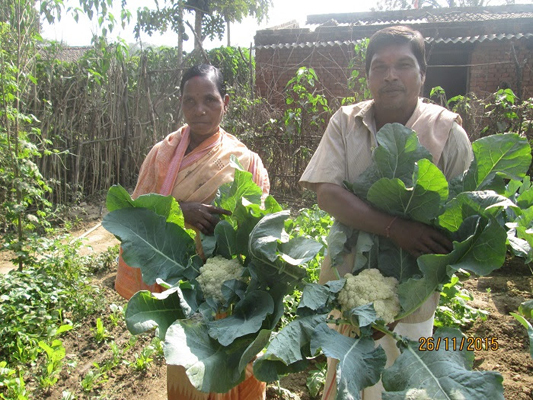 They have installed Vermi Compost beds and started organic training. 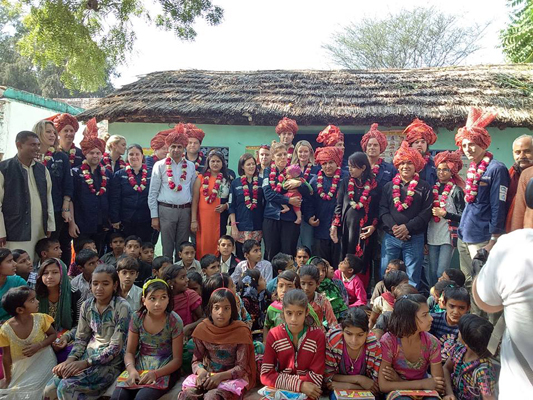 A team from Australia visited Kakrana village in Alwar district of Jaipur on 29th November. 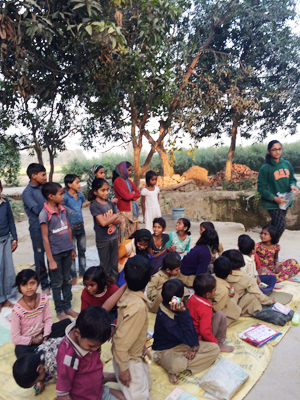 Apart from interacting with the children and villagers of Ekal Vidyalaya at the village, the team enjoyed playing the game of Kabaddi with them. 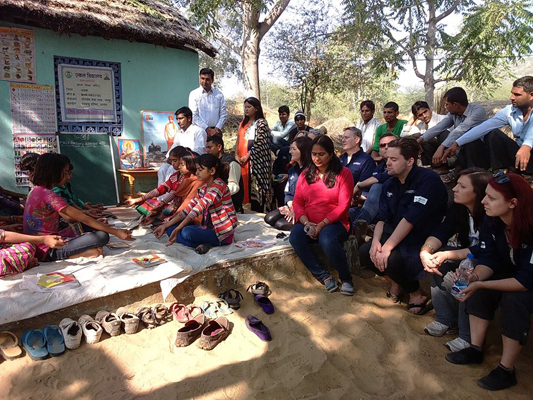 It was a memorable experience for the visitors as well as the village children. Ms.Shubhangi Agarwal, studying in Singapore as an undergraduate visited our Ekal Vidyalaya in Chaka Block, Yaminapaar, Allahabad. Her visit is to learn about the impact of curriculum, resources utilization, primary education and sanskaar education. 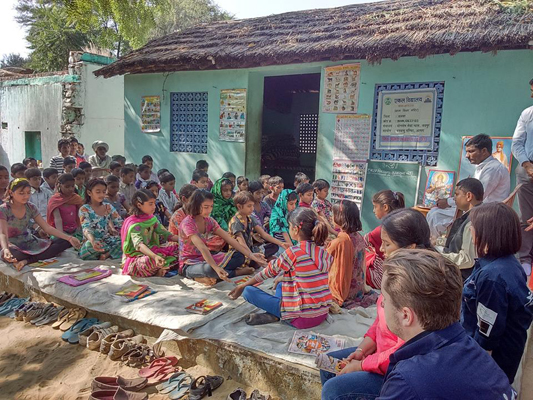 One more student of Indian origin of class 9th from New Jersey, USA would also visit to do social work and to do the Ekal Impact assessment for one month, every year for 4 years. 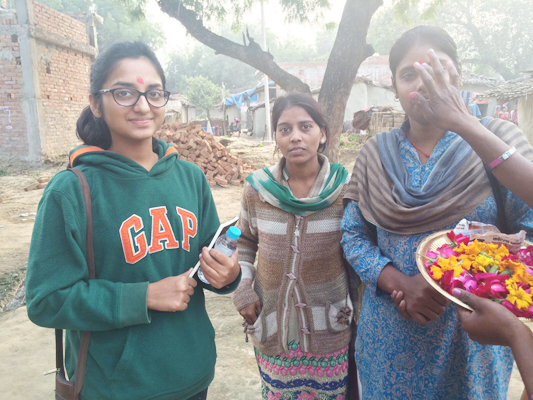 Good to see youngsters taking interest in social work and social entrepreneurship.